Is the United States Abandoning the Free World? There is great anxiety among Africans who are peace-loving, and who care about democracy and human rights, that after the U.S. presidential election next month, this concern for people who care about democratic values and human rights might stop. The understanding in Africa now is that the United States is showing signs of feeling over-burdened with taking the lead role in world affairs. But the implication of this abdication is immensely dangerous. America no longer looks like the country that extended its soft power to Western Europe, in the form of the Marshall Plan, shortly after the Second World War. Was this the same United States that made its hard power felt to rescue the free world and ensure that it remained free? The stabilizing role of the U.S. is needed now more than ever. We need America's leadership. There is simply no other free country that can adequately provide it, to maintain peace in the continent. Who will be there for us to "talk softly and carry a big stick," where and when it is necessary? A few years ago, a sitting president of Nigeria was accused of condoning corrupt activities, and as a result, the nation lost tens of billions of dollars. When Boko Haram seized an area the size of Belgium in northeastern Nigeria, U.S. President Barack Obama said that the United States would not sell arms to Nigeria because of the Leahy Law, which prohibits the U.S. from providing military assistance to foreign militaries that violate human rights with impunity. 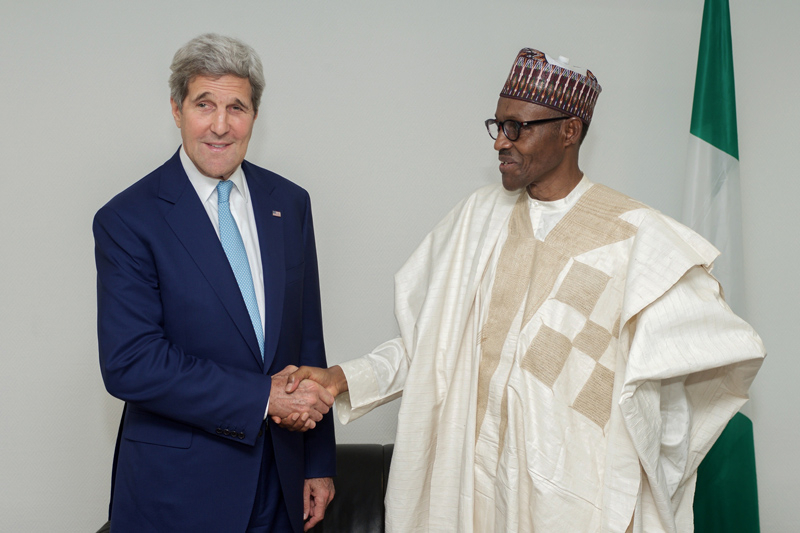 Thankfully, U.S. Secretary of State John Kerry met with the political actors in Nigeria ahead of its 2015 elections, and repeated the position of the United States on the importance of having a peaceful election and transition. This visible concern in no small measure helped in a fair political contest and transition. This is the enviable position of awe in which the United States of America was held. There is great anxiety among Africans who are peace-loving, and who care about democracy and human rights, that after the U.S. presidential election next month, this concern for people who care about democratic values and human rights might stop. In previous U.S. presidential elections, all the candidates showed their understanding of international relations. The current U.S. presidential campaign, apart from Mexico, Russia or the Clinton emails scandal, has been overshadowed mainly by domestic issues. You hardly hear about Africa. The present election campaign has sidestepped Africa despite its challenges and opportunities. It is helpful to have the strategic Camp Lemonnier base in Djibouti near the Indian Ocean and the Gulf of Aden to contain and decimate Al-Shabaab in the horn of Africa and to obstruct the movement of arms and sharing of intelligence between Al-Shabaab and Boko Haram (now Islamic State in West African Province). But we also need America's leadership. There is simply no other free country that can adequately provide it. The understanding in Africa now is that the United States is showing signs of feeling over-burdened with taking the lead role in world affairs. But the implication of this abdication is immensely dangerous. Such a posture means that when regional organizations such as the African Union, ECOWAS etc. fail, for any reason, to maintain peace in the continent, whom do we look up to? Who will be there for us to "speak softly and carry a big stick," where and when it is necessary? The ongoing political developments in the U.S. are being keenly observed with even more than the mixed feelings that greeted Brexit. Brexit felt like an exit by a powerful member from an interest club, where its interests were not well-defined, safeguarded or guaranteed. The political trend in the U.S. seems like a call to the leadership and the citizenry to look again the list of its friends and adversaries with a view to pruning it. But most importantly to take on lesser role as a leader of world affairs -- to become less collaborative and have fewer partnerships. America no longer looks like the country that extended its soft power to Western Europe, in the form of the Marshall Plan, shortly after the Second World War. Was this the same United States that made its hard power felt to rescue the free world and ensure that it remained free? A country that closed ranks about eight years ago to elect an American of African descent as the president should be succeeded by a leader who understands that the stabilizing role of the U.S. is needed now more than ever. Regardless of who emerges as the next U.S. president, Africa will wish to see that the revalidation of the African Growth and Opportunity Act (AGOA), which has been extended until September 30, 2025, is not just mere rhetoric. Africa will wish to see, for example, that the garment trade agreement becomes all-encompassing, as happened during the presidency of George W. Bush, which doubled the size of the Traffic Quota Rate (TRQ) applicable to duty-free apparel exports. This considerably helped the countries of Namibia and Botswana. With oil prices on a downward trend, there is no better time for Africa to diversify its exports, and all the more reason why bilateral deals such as the Bi-National Commission between Nigeria and United States must work. At the heart of this bilateral agreement are security cooperation, economic growth and development, and lastly governance and democracy. It is noteworthy to say that Nigeria has had five uninterrupted election cycles since 1999; the same is true in many parts of Africa. We are trying to make sure that Africa will fast be democratizing. 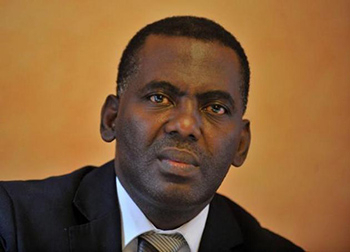 Therefore a country like the United States, which that has a distilled vision of freedom, should not find it difficult electing a leader that will dovetail such vision with the needs of the African continent.